Another year, another opportunity for a fresh start. Now that 2018 is officially over and we’re moving swiftly into 2019, it’s the perfect time of year to adjust our mindsets, change our habits and plan for a productive year ahead. The thing is, most entrepreneurs will coast into 2019 without really taking the time to set their year up for success so don’t be that person. Take the time to choose a New Year’s Resolution or two and get planning for what’s to come. Not only is this the perfect time of year to make changes and set goals for your own life, but it’s also a great time of year to do the same for your business. January marks the start of the first quarter of the year and you have the power to take charge of this fresh start and turn it into a productive and successful foundation upon which you can continue to build your business throughout the year. There’s no better time to focus on the future with a positive outlook and a plan for productivity than right now, that’s why we’ve brought you our 2019 New Year’s Roundup. This New Year’s Roundup post has become a bit of a tradition on our blog over the years, and every year we like to add to it and update it with new tips, tools, and resources we’ve learned and used throughout the year. If you usually let the New Year slip past without much reflection or goal setting, this year we urge you not to. Instead, set some time aside at the start of this year to tie up last year’s loose ends and plan for the upcoming year. It’s amazing what a little goal setting can do to help you progress throughout the year! Without further ado, read on to find out more about how you can move forward into 2019 with a plan of action that’s sure to set you up for a successful and productive year ahead. Let’s have an awesome year. In order to move forward into the New Year, it’s important to reflect over the previous year so you can get a sense of where you’re at and how you should continue to proceed. What goals did you set for 2018? Did you even set any? Which ones did you achieve and which ones did you slowly give up on throughout the year for whatever reason or another? Reflect on your choice of goals that you set the beginning of last year and evaluate whether they were realistic or idealistic so you know how to set better goals for yourself this year. No matter how big or small, there must have been something that went right for you this year. Reflect on what you did well and give yourself some credit! It can be so easy to focus on what doesn’t go well and let the small successes slip by sans celebration. List out all the things you accomplished in 2018 so you can see right in front of you everything you worked hard to put into fruition this year. You did the work and you made things happen so let yourself feel the effects of your success! We all make mistakes, we all plan and execute poorly but there’s no need to dwell on it. Recognize what you didn’t excel at last year and consider how you can change that this year. Didn’t stick to your goals? Acknowledge that and consider what you can do differently this year so you actually achieve them. Made some mistakes? Recognize what you did wrong, make amends with yourself and consider what you’ll do this year to not make the same mistakes again. Alright, now it’s time to get some housework done. This might not be exactly what you had in mind when preparing for your awesome New Year, however, it’s an extremely important step that many entrepreneurs let slip throughout the year which can end up costing them big time in the long run. Throughout the year, many of us fall guilty of not properly updating, backing-up, and securing important information on our devices but before you head into another busy year, take the time to actually do those tasks you’ve been putting off and start protecting your assets. Yes, it’s tedious and yes, you might think it’s not actually all that important, but it’s much easier to prevent assets from being compromised than to recover from it, so just do yourself a favor and make this a priority while you prep for your year. Future you will thank you. Even if you can’t bring yourself to put these preventative measures in place for your personal accounts — that is, ultimately, your decision — you MUST secure your business’ assets for the sake of your customer’s security. When you’re a business owner you no longer just handle your own information, you handle other people’s as well, plus any method you’re generating income with online should be protected to secure your livelihood. 2018 was the year of data breaches and it’s expected to continue at an accelerated rate. The United States is understood to be the #1 target for targetted cybersecurity attacks (Source) which is a scary spotlight to be in and with the average time to identify a data breach taking 196 days (Source), you don’t want your own personal or business data compromised for that long — or at all — if you can help it. The good news is, there are steps you can take to help protect you and your business from potential data breaches and hacks. First of all, change your passwords. There’s no doubt that we’ve all heard this tip before — it’s nothing new, but it’s effective. Changing your passwords regularly and using an original password for every account can help prevent your accounts from being compromised. If you’re a password recycler (someone who uses one main password for most of their accounts) then your overall security for all of your online accounts is likely to be very low and easily hackable. If one of your accounts gets hacked and you use the same email and password for other accounts, the possibility of those also getting hacked is very likely. For example, in 2018 there were 5 main data breaches alone: Facebook’s data breach exposed the data for 50 million users, the hotel group Marriott data breach affected 500 million customers, Quora’s data breach compromised 100 million users, the British Airways data breach affected 380,000 of their customers’ data, and Ticketmaster’s data breach impacted 40,000 customers. If you had accounts on any of services within the last year alone, your data and other accounts could be compromised. Each time a data breach happens, it’s reasonable to presume that the data is being sold on the dark web — or being used by the hackers themselves — to run the data they acquired against other programs on the web to see where else users may have used the same usernames, emails, and passwords. This is why it’s simply no longer acceptable to be using recycled passwords for multiple online services because it just simply isn’t safe and puts you at further risk. We get it, it’s difficult to remember lots of different passwords, that’s why so many of us are password recyclers. If this is how you feel then your best option is to use a password management service like Dashlane. 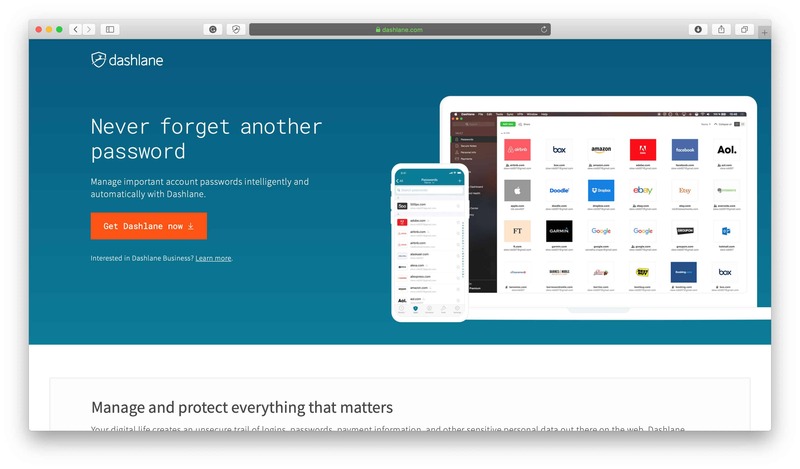 Dashlane is one of the best password management services out there and you can use it for free. It stores your passwords, evaluates your overall online security so you have an idea of how secure your accounts are, it can help you update your current accounts so they can be more secure, and anytime you sign up for a new account it will help you generate a secure password. 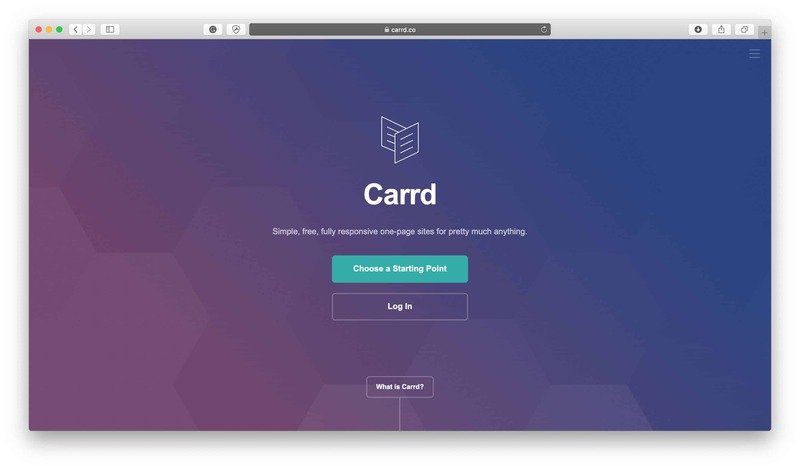 It’s super simple to use, it saves you from having to enter passwords every time you log in to an online service and it also automatically logs you in which is super convenient. Dashlane also saves receipts, personal information, and credit card info for safekeeping and better management. When you use Dashlane you’ll only need to remember one “master” password that you don’t use for any other account and it will remember the rest. Important Note: Here’s another reason why it’s important to change your passwords often, even if you have no reason to suspect they have been compromised: When you forget your password for a service and you try to recover it, most of the time you’ll be sent an email with a link to click to create a new password. Why don’t they just send you your password? That’s because most services don’t actually have access to your password. It’s encrypted, and that’s good. However, if you ever hit the “I Forgot My Password” button and you get an email with your password in it, that means your password was never encrypted and anyone at that company with the capabilities can see your password. Now that you’ve sorted out your passwords, implementing Two Factor Authentication (also known as Two-Step Verification) is the next step up in terms of security. With 2FA, every time a login attempt is made on your account, you’ll have to input an additional unique 6-digit code to actually be able to log in to your account. 2FA is not necessary, or available, on every account as in some cases a strong password is usually sufficient enough and adding 2FA slows you down by creating an additional step, however, for accounts that store very important or sensitive information, enabling 2FA is highly recommended. If you’re like most people, you likely use an account like Gmail and have other email addresses filtered through it. This means that for any online service you use, your recovery emails (if you forget your password) go to your Gmail account. That means if someone gets into your email they can change every other password and, since they have access to all your emails, they can also easily find out exactly what services you’re signed up to. Think about that for a second: It’s scary. Do yourself a favor and protect your email account with 2FA if it’s available for your email service provider. Your online business is an income revenue stream, your livelihood, and it should be protected. You don’t want this to ever be compromised as it can result in a loss of money and put sensitive information for you and your customers at risk. Depending on which ecommerce or blogging platform you use, there may be an option to implement 2FA. If there is, definitely consider enabling it so you can make it one step harder for your important information to be compromised. You can also enable 2FA for some social media platforms like Facebook, Twitter, and Snapchat, so if you think those accounts would benefit from an extra layer of security, considering implementing 2FA for them as well. Check out the Authy app to help you log into any 2FA secured accounts more easily. You simply scan each account’s QR Code and the app continuously refreshes 6 digit codes every 30 seconds for each 2FA secured account. Anytime you need to log into those accounts, head to your Authy app on your device and enter the 6 digit code instead of waiting for it to be emailed to you. The reason we recommend the Authy app over other 2 Factor Authentication apps is that Authy is free, it’s easy to set up on your devices, you can use it on both desktop and mobile devices, and it backs up to the cloud so you’ll never get locked out of your accounts if you lose your devices or don’t have access to them for some reason. This feature, in particular, is a huge advantage to using Authy, simply because getting locked out of your own accounts because of your 2FA provider can be a huge pain and not something you want to subject yourself to if you can help it. Quick, what’s your credit score? If you couldn’t answer that question, it’s time to get the answer. Your credit score, especially as an entrepreneur, is extremely important, however, most people have actually no idea what their score is, nor do they know what’s on their credit profile. This is a problem because your credit score can affect your approval and rates on a car, a house, credit cards, and loans. Checking your report is critical because mistakes happen and being in the dark and wishing for the best isn’t a very good strategy. Even if you think your credit report is squeaky clean, that doesn’t mean that it is. The only way to know for sure is by checking your report regularly. To learn more about how to hack your credit score and take it to the next level, click here. Your business — especially if it’s providing you with some, or all, of your income — is an important asset to protect and you should consider whether insuring it is the right course of action for your circumstances. Insurance can help provide you with protection against damages, lawsuits, and copyright infringement related to your business and can be completely specific to what kinds of products you sell or digital content you create. Look into insuring your business in your local area and see if it’s worthwhile for your business. 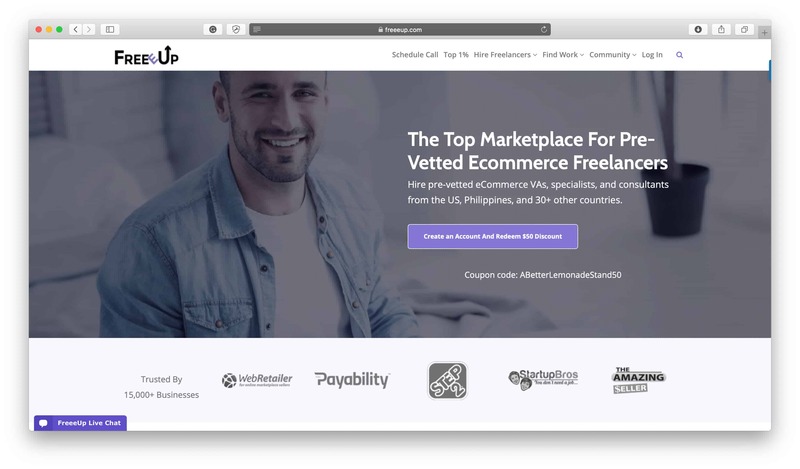 Bonus: Interested in other ways to secure your ecommerce business? Check out our article on How to Bulletproof Your Online Business for relevant and important information about securing your online business from potential loss & threats. It’s no secret that being well organized helps enable productivity and, in turn, success. Keeping the most fundamental aspects of your life organized — like your workspace, your appointments, and your to-do list — helps keep you on track and ready to attack your daily activities. Trying to operate with uncategorized files, poor time management, and a messy desk does nobody any good so start your year off on the right foot: Get organized. It’s entirely possible that your cell phone is one of the most cluttered and distracting areas of your life. If you want to have a productive and successful year, you need to take control of how you spend your time and those fun apps that are taking up space both on your phone and in your life are only going to set you back. Be honest with yourself about which apps are essential to have on your phone and which ones are just cluttering it up and delete the ones that detract from your productivity. After that, set up the Screen Time feature on your phone to restrict you from using specific apps at certain times of the day or to set daily time limits for apps you want to manage your time on. The Screen Time feature can also give you weekly reports detailing how much time you spend on your phone, and a breakdown of time spent on each app, which can be really enlightening information to help you reduce distractions. Bonus: Get a list of the most important apps for you to have on your phone when it comes to keeping up-to-date with your businesses on the go in our 20 Smartphone Apps to Manage Your Online Business on the Go article. This is the time to get your computer organized. After a busy year, you might have files piled up in every nook and cranny of your system. Take the time when you’re mindlessly sitting down to watch some TV one night and trudge through what’s there. It’s a mindless process but it’s necessary for both the health of your computer as well as your mind. First, get rid of what’s on your desktop and try to completely clear it if you can. Files saved to your desktop should be for short-term use only as they can slow down your computer and they make your desktop appear cluttered. Find a proper place for them to live or put them in the trash. Use a tool like CleanMyMacX and CleanMyPC to help you remove unnecessary files and get your computer back to running like it did when it was new. Next, clear up your downloads. Again, having a bunch of files sitting in this folder can slow down your computer, plus you probably don’t need them anymore so clear up the space they’re using so you can put it to better use this year. You know all those bookmarks you saved so you could come back to them later? Sort through them and only keep what’s necessary. Either have a look through them now to see if there’s anything you saved worth reading or watching, or just delete them because you know you won’t be coming back to them anytime soon. A short list of bookmarks helps you find what you’re looking for much easier — especially if they’re properly titled, so do that too. Create folders within your bookmarks too for an even more organized system. Just do it. We’ve all been guilty of not doing this at some time or another, but just take the time to do this before you get wrapped up in another busy year. Dropbox and Sync are good options for backing up your files to the cloud and syncing them across all devices. 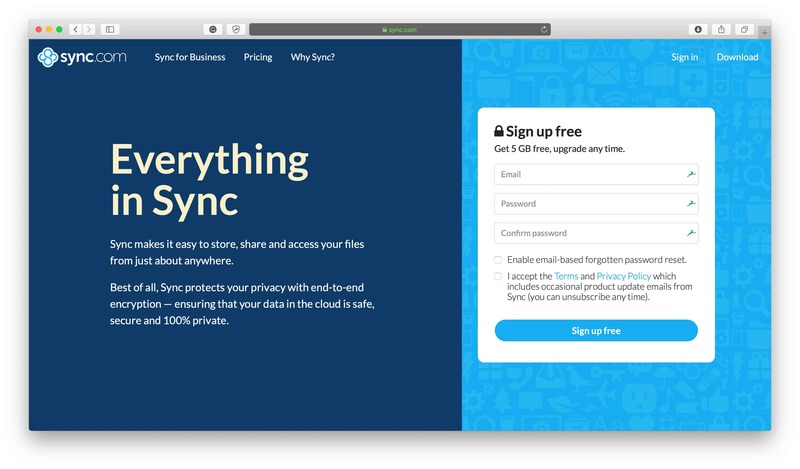 We particularly recommend using Sync because they offer end-to-end encryption which adds an extra layer of security to them that protects your files from data hacks and breaches. While you’re at it, you should also backup any websites or online stores that you have and keep that backup safe on your computer or your cloud storage. If your online store is your livelihood or even a side hustle then backing it up really shouldn’t even be an option and should just be something you do on the regular. 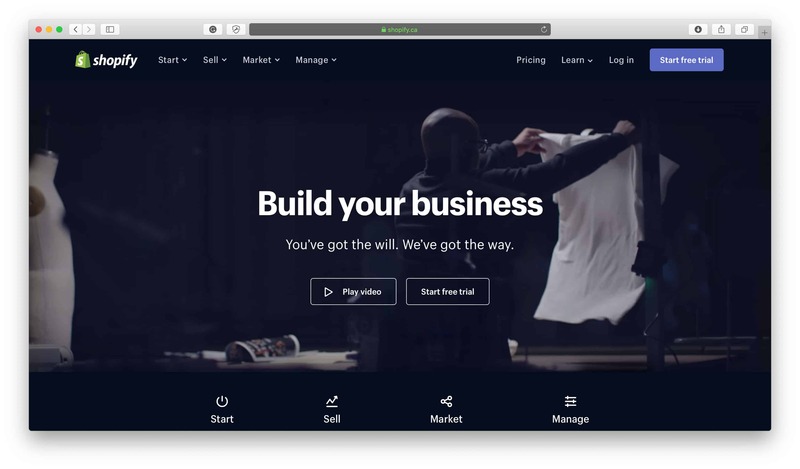 Tools like Rewind are designed specifically to backup Shopify stores, BigCommerce stores, Quickbooks Online and even have WordPress and Google Drive integrations on the way. 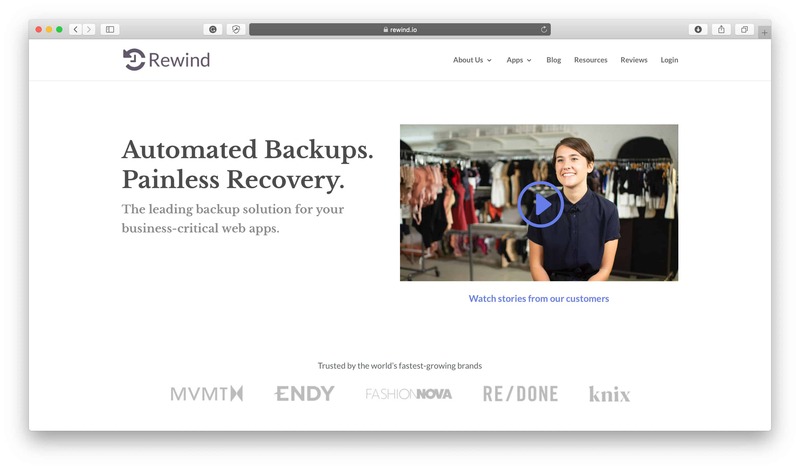 We highly recommend implementing Rewind on your store because you never know when you’re going to need it throughout the year, whether you accidentally delete parts of your website when you make an update, a disgruntled employee removes important files, or a malicious hacker attack deletes your website entirely. This isn’t something you want to take your chances on, so just back it all up now. Learn more about Rewind in our Rewind Review and take advantage of our exclusive Rewind Offer to get an extended 45-day free trial. If you keep notes, don’t forget to organize them as well. Whether it’s business ideas, quotes, important links, or website code snippets, you need to keep these notes organized and easily searchable for them to be effective. If you’re not using Evernote you really should be. Another alternative is Bear Notes for iPhone, iPad & Mac. If you’re already using a notes service like these two, it’s time to go through all your notes from the last year and organize them with proper titles and tags. It can be easy to let that slip throughout the year as you’re quickly jotting things down, so take time now to go back and organize everything properly. The email inbox is a scary and daunting place where forgotten emails are left to rot as new emails constantly continue to bury them. Set aside a good chunk of time to completely clear your inbox. If you’re time constricted — and bold — just delete them all. Assuming that you trust your recipients will send a follow-up email, you probably won’t miss out on much. Besides simply emptying your inbox you should also implement proper inbox management techniques. This means using your email service provider to their fullest potential and making use of folders to manage your inbox. When customer service inquiries come in, drag and drop them into the “Customers” folder. Just got a personal email from an old friend? Put it into the “Personal” folder. Your flight info for your next trip was just sent over? Put it in the “Travel” folder. This helps you keep your main inbox clear and all your other emails organized so you can keep up with them through a logical system. You can also automate this process by adding labels and filters to manage and organize all your emails. We use this little trick to automatically forward all our business receipts into one accounting folder using a specific email address that we only use for this purpose so we can save and file our business-related receipts in a more organized matter that makes tax time much easier for us and our accountants. We discuss this technique more in our How to Bulletproof Your Online Business article under the “Utilize Alias (Or Forwarded) Email Addresses” header. You can also use the web app Unroll.me to scan your entire email inbox and identify every newsletter you’ve subscribed to. It will then present them to you with a 1-click unsubscribe button for each of them. You’ll be surprised at how many useless newsletters you’ve signed up to over the past year. If you don’t want to use an email newsletter unrolling service, you can always manually unroll yourself from email newsletters. It might take some time, but if you use Gmail you can just head straight over to the “Promotions” tab in your inbox and many emails from company newsletters will be hiding out there. Alternatively, you could conduct a search for the word “Unsubscribe” in your email inbox, as every email newsletter has to offer an unsubscribe option, so you can find newsletters more easily. If you’re going through the Promotions tab in your inbox, or maybe even your Spam folder, and notice there are email newsletters there that you haven’t been receiving in your normal inbox (like ours!) but you want them to be showing up there, don’t forget to whitelist them! This will help your email service provider understand which emails you want to be receiving in your normal inbox so you don’t miss out on news and updates from the brands you love. After another year of posting, sharing, and stalking, our social media accounts can get overwhelming with friends, followers, and tags. Go through your Facebook, Instagram, Twitter, Snapchat, LinkedIn and any other platforms you use and filter out what — or who — is no longer relevant to you. You’re aim here isn’t to cut people out of your life, it’s just to keep your social media accounts under wraps so everything that’s on there reflects your online presence the way you want it to. Unfollow or mute people who take over your Instagram newsfeed, unfriend individuals on Facebook who are no longer a part of your social circle, mute the voices on Twitter you don’t need to see every time you open the app, and untag yourself from any photos or events you no longer want to show up on your feed. These are all simple tasks but it’s just a matter of keeping them under your control that puts you in a beneficial place to start a new year. As an entrepreneur, you’re likely always signing up for social media platforms, tools, and apps to help you grow your business. Use the web app JustDelete.Me to get direct links and instructions on how to delete accounts and profiles that you’re no longer using. And this year, use a disposable email address when signing up to new services that you’re just trying out for the first time and aren’t sure if you’re going to use it more than a few times. Use a fake email service like Mailinator or 10 Minute Mail to create an instant and disposable email address to test services before you commit. These disposable email services can help prevent your email address from being spammed and added to an endless list of newsletters that crowd your email inbox. A tidy space is a tidy mind. Remove any redundant notes that scatter your workspace, file all those papers you just shove into your drawer, dust off your desk lamp or whatever the case may be. Get your space fresh and ready for a successful year ahead by purchasing some new pens, stationery, or anything you use regularly that could do with an update. If you work from home, even if it’s just part-time for your side hustle, and haven’t yet created a designated workspace, consider making a space for a desk this year. Having a designated workspace at home that you use ONLY for work helps boost productivity by setting the scene and putting you in the right mental state to work. If you’ve just been working on the couch or kitchen table, see if you can squeeze a small desk in somewhere that’s used only for you and your business. If you haven’t already read or heard of The Life-Changing Magic of Tidying Up by Marie Kondo, check it out for some immediate tidying up inspiration. You’d be surprised at how much you’re likely overpaying for services. The New Year is a great time to review your bills and see what you can cut down on and where. Negotiate Your Cell Phone Bill: Call your phone provider and negotiate your monthly rate (if you tell them you’re leaving them, they will send you to their retention department which has more power and flexibility to offer you better deals. Bank Smarter: Review your banking plans for your accounts, as well as your credit cards to make sure you’re getting the best deal possible. To better understand your finances, you may also want to sign up to Mint.com or You Need a Budget. Cancel Your Cable: By canceling cable, not only can you save a substantial monthly payment but you can also increase productivity from not wasting time in front of the TV. As a replacement and to have some entertainment, try just having Netflix and/or an online season pass for your favorite sports team. Review Your Internet Service: You can likely get better/faster internet for cheaper, it’s just a matter of reviewing new plans that are available from all of your local internet service providers. Keep in mind, many companies offer attractive incentives for new customers, so switching providers can be very lucrative if you find the right promotion. Throughout the year maybe you’ve come across interesting services like courses, webinars, tools or resources that you’ve flagged in your mind to investigate more on later, but you have yet to actually follow up on them. These could be things that you’ve bookmarked for later, saved in your email inbox, or even services you’ve signed up for but haven’t actually used yet. Take the time now, at the start of the year, to learn more about these services and decide whether or not they’ll be worth putting into practice this year. If so, start figuring them out so you know how to use them and start applying them to your daily life. If some of these services turn out to not be what you thought or needed, delete them from your bookmarks or inbox and forget about them so they stop cluttering your mind. Whatever services you’ve been saving throughout the year probably have something in them that will benefit either your life or your business, so don’t put them off any longer and start actually putting them into use so you can make positive changes this year and become even more efficient and productive. Bonus: Have a look at the Exclusive Offers we provide and get discounts on some of the best ecommerce tools in the industry, and sign up to AppSumo’s email list to find out the deals they offer throughout the year on online tools and services. No matter what kind of business you’re running it’s likely that you’re using social media to connect with your audience as well as gain exposure. Producing consistent content is one of the most surefire ways of growing an audience, as we discussed in our Content Strategy: The Ultimate Guide to Preparation, Production, Publication and Promotion article, so to boost your own growth create a plan of action this year for what you want your year to look like in terms of how often you’ll be able to post and what you want your content to look like. Depending on the type of social media you’re utilizing to engage with your audience, the number of times you post should be relative to what the users expect and can keep up with. If you’re wanting to grow an audience through Instagram, you’ll likely want to make a goal to post at least once a day, if not twice a day. If you’re engaging with your audience through your blog, posting anywhere from once every two weeks to once or twice a week is an acceptable way to grow an audience. You can use a post scheduling service to help you post consistently, so you don’t always have to remember to do it. Post schedulers are a great way to make sure there’s always content going out on your platforms, but you want to make sure they don’t enable you to become lazy or robotic with your content. When mixed with organic posts that you publish in the moment, they can help you keep a balanced social media presence that provides pre-meditated content as well as organic content. However, no matter how often you’re posting you’ll also want to plan out how you want your content to look like over the next year so you keep progressing. How you plan your posts is up to you, the platforms you post on, and your own skills and abilities. If you think more people would engage with you on Instagram if you had better pictures, plan out how to make your photos better. Maybe you need to learn how to arrange props or people in an image better, or you need to learn how to edit images, or maybe a unified filter like the ones you can get from FilterGrade or template package you can get from Creative Market can help you to create a consistent theme. 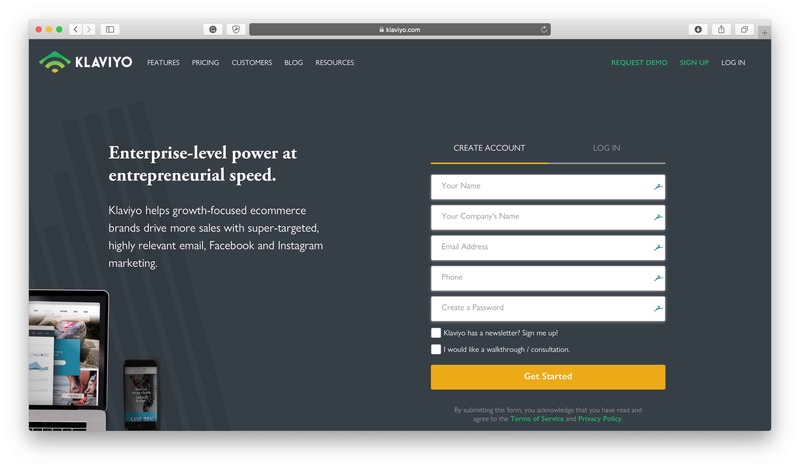 Check out our roundup of these 25 Gorgeous Instagram Templates for Ecommerce Businesses for more ideas. If you’re blogging, plan out topics you want to cover on your blog this year. This list doesn’t have to be super detailed, it just has to have enough information so you know what you want your blog to achieve this year and how you want it to take shape so you’re not scattered and all over the place. Having topics pre-planned will also help you to post consistently because you’ll have ideas ready and waiting for you to write about. We talk more in detail about how to do this in our Content Strategy post, and we also discuss exactly the strategies we use to run this very ecommerce blog. 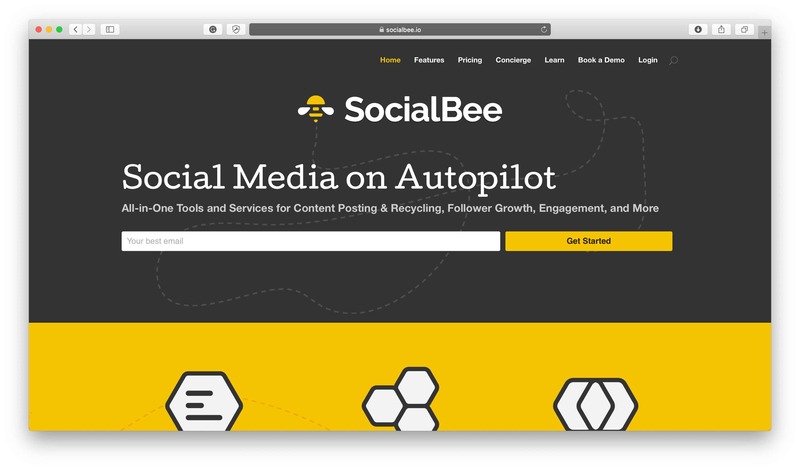 Bonus: Looking to create beautiful social content? Check out Creative Market for images, fonts, and social media packs. Getting your blog content scheduled? 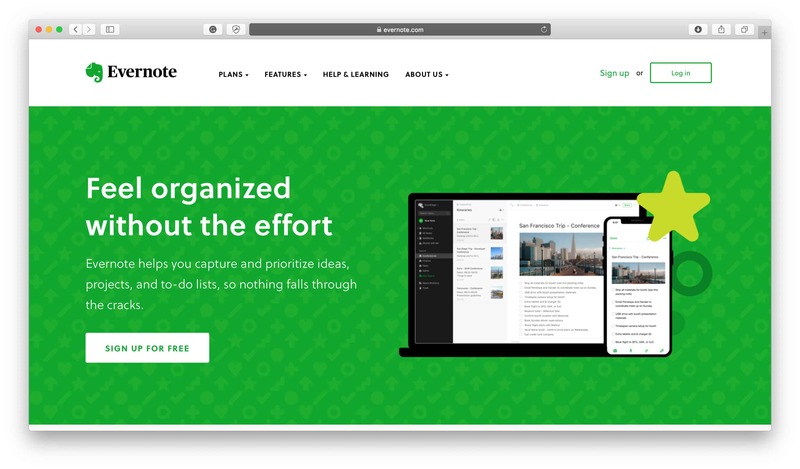 Try out AirTable — it’s been one of our best app discoveries of the past couple of years and it has truly changed the way we work & plan, for the better! Also, check out our roundup of 200+ Curated Graphic Design Resources for all the image, icon, and font assets you’ll ever need. What is the one thing you want to achieve with your business this year? Ask yourself this question and set your answer as your focus for this year. Understanding what the one big thing is that you’d like to do with your business this year helps give you a direction to work towards and it gives you a sense of what steps to take at the start of the year to help your goals come true. It can be anything! Maybe your focus for your business is just to launch this year. Maybe you want to grow your customer base, your email list, your monthly reader count or your social media followers. Maybe you want to branch out to provide another product or service to your customers. Maybe you want to provide better products or services. Maybe you want to post content more consistently. Whatever it is, set your focus for this year so you know what direction you’re working towards and what steps you need to start taking. Your plan of action should directly help you achieve the focus you’ve set for your business this year. Setting a focus is great, but lots of little steps have to be achieved first in order to achieve a larger goal, so create a plan of all the little steps you need to achieve first. You don’t have to create a plan of action for the whole year because that can be daunting and it will most likely change. Instead, create a plan of action for this month or this quarter including tasks that you can achieve that will help you on your way to achieving larger tasks. One big achievement is just the sum of a lot of little achievements, so plan out your little achievements and you’ll be more likely to stick to them and succeed. It never hurts to be more educated or informed, so think of a skill that would help you be a better owner and operator of your business and work towards learning more about that skill this year. 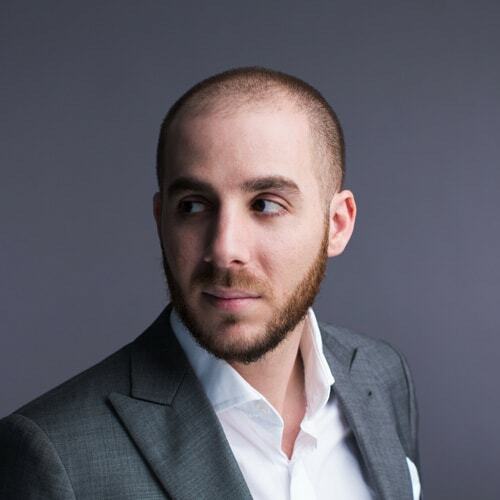 Being an entrepreneur requires you to wear lots of different hats to get and keep your business up and running, including but not limited to coding, graphic design, web development, marketing, customer service, copywriting, blog writing, social media management, product design, human resource management, inventory management, etc. There’s a lot to know and learn and it isn’t possible to be an expert at everything, but it is possible to learn more about a certain skill just to help you better yourself and your business overall. Pick a skill you’re either interested to learn more about or choose to learn more about a skill you’re the weakest at. Don’t aim to become an expert at the skill, just invest some time learning a little more about it so you can expand your knowledge and hopefully be able to apply it to your business somehow. If you want to 10x your business, hiring someone to outsource some of the work you do as an entrepreneur can be exactly what you need. Hiring someone who knows more about a certain aspect of your business helps you to produce a better outcome more efficiently which means you save time and get a better result. There’s obviously going to be a monetary impact, but if you can hire a freelancer to do contract work, a student who would benefit from the experience or just someone to start out part-time, then you can still get someone who knows what they’re doing for a little bit less of the monetary commitment. Start off by considering the task (or tasks) you’re the weakest at when it comes to operating your business and find a way to outsource it. It can be any task from photography, social media, graphic design, web development, filming, writing, etc. and by minimizing the amount of time you spend struggling through the task you don’t excel at, you give yourself more time to input into other tasks you’re better at. It Stops Your Email from Getting Scraped by Spambots: With your email address floating around on your website unprotected, you’re more likely to get spammy and junk emails sent to you. An email form prevents this almost entirely. 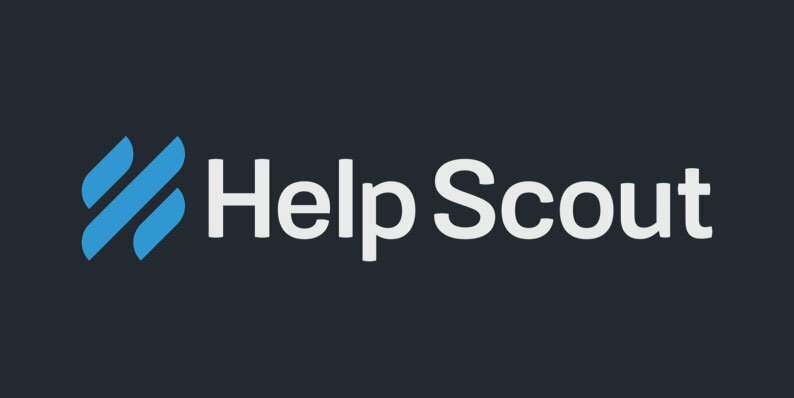 It Helps You Create a More Organized Workflow: When you have all your business emails coming into one inbox when you use an email form that links with an email management service like HelpScout, you have one place that you can go to check and respond to emails, making it a more organized process. You’ll be much more likely to respond to all emails in a timely fashion and they’ll be much easier to categorize. Stay on top of your accounting from day one. We repeat: Stay on top of your accounting from day one. Do yourself a favor, and keep up with your accounting. It makes it much less headache-inducing for everyone involved. Granted, the fiscal year does not start in January, so you should already have your proper accounting habits in place, but it’s never too late. If you don’t already have your accounts in order, do it now before you get to the end of the year and everything is a disorganized mess. One major tip we’ve found to be helpful this year is having a designated “accounting@yourdomain.com” email. Use this email when sending receipts to yourself, or anything you need to account for, and set a rule in your inbox to have every email coming in from this address forwarded to an “Accounting” folder. This will help you to stay much more organized, plus it’s automated so once you set it, you don’t have to do anything else. Otherwise, we highly suggest you check out a service such as Bench to help you take care of your bookkeeping online. They help you to manage your accounts throughout the year so it’s less overwhelming when it comes to filing your taxes. When it comes to filing your taxes, we recommend checking out TaxJar for automated sales tax reporting and filing. Bonus: Want to learn more about these services? 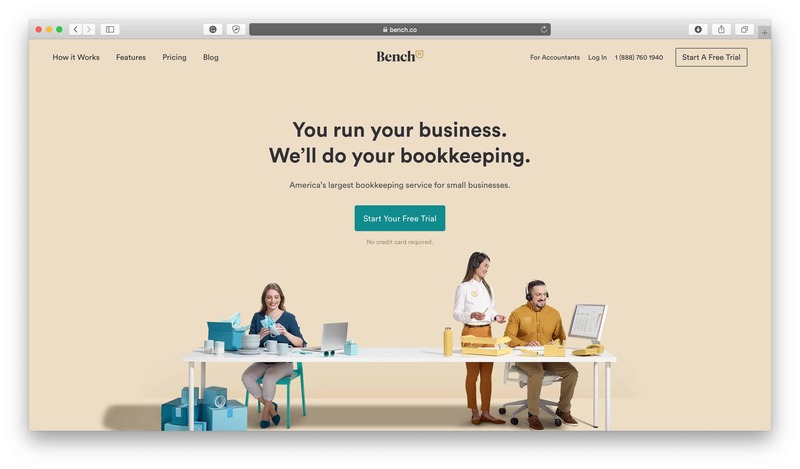 Check out Bench’s guest post on our blog, Small Business Recordkeeping 101: A Guide for Ecommerce Entrepreneurs here and our TaxJar Review here. It’s proving more and more that businesses that focus on doing one thing and doing it well tend to be extremely successful. Consider this concept this year and how it might lend itself to your business. Oftentimes consumers are so bombarded by things they should buy that taking out some, or all, of the choice you offer, is the best thing you can do for your sales. Instead of offering a few color choices, offer one. Instead of offering a bunch of styles, offer a couple. Narrow down the choices to the ones that are the best and your customers may thank you for it. Otherwise, try out the “One Product Strategy” this year: Pick one product to sell, hone in on your niche, and sell it to your customers really well. Don’t try to do everything, just do the best at one thing. Each year it’s important to set goals so you have a mental map of how you want your year to progress and improve. There are many different facets to life, so setting a goal for each area of your life can help you to maintain balance and progression throughout all areas this year. Although setting goals is important, what’s more important is acting on them. After you set these goals for each facet of your life, consider what you can do right now to start working on them. It can be anything from ordering books so you can read more in-depth about a specific topic, calling up friends or family members to arrange some quality time, budgeting for this month, choosing a fitness plan to try out, ridding your cupboards of unhealthy snacks, etc. Put your goals into action right away so you can engage with them immediately. When you start making plans for the year, whether it be in relation to goals for your personal life or your business, planning in quarters can make the task much less daunting and much more realistic. Things change throughout the year, so it’s a bit ridiculous to know exactly what to expect for months as far away as December, but for the upcoming months like February and March, you have a better understanding of what you can plan and achieve. By planning in quarters you give yourself a much more realistic plan of action to follow and you’ll be more likely to stick to it. Planning in quarters also allows you to make changes or additions as the year progresses. You may be adding new methods or habits in the first quarter that may or may not work out, and as you progress into the second quarter you can make adjustments without completely ruining your yearly plan. Planning in quarters gives you much more flexibility while also giving you a regimented period in which you can try things out. The three month period of each quarter gives you enough time to implement methods and habits without it being too short to notice results and too long to seem overwhelming and daunting. So instead of planning your entire year out, set plans and goals for quarter one right now, and when you get to the end of it then assess your successes and achievements and make more plans and goals for quarter two. You’ll be much less daunted by the sight of what you have to achieve each quarter, and you’ll give yourself a set time to complete each task or goal by. This is the biggest challenge every year. Making goals is easy, but staying motivated to stick to them is the hard part. When you’re trying to do something new consistently there’s a period of time you’ll have to spend motivating yourself to do it before it becomes a habit. When you were little your parents motivated you to do simple tasks like brushing your teeth, but now it’s a habit so you just do it. The same goes for all new things you try to implement into your daily routine: It’s going to take some time to get used to being consistent with a task, but once you’re consistently doing it, it will become a habit. This goes for anything, whether it be in your personal life or for your business. Use the following tips as motivation to help you when your own motivation starts to wane. Persistent starting is the ideology that you have to continuously make yourself “start” a task over and over until it becomes something you no longer have to motivate yourself to do. For example, if you’re trying to get into the habit of posting a blog post every week and then you miss a couple weeks due to lack of motivation, start again. Then you post on your blog a few more times weekly and then you lose motivation and miss another few weeks, so then you start again. The point is, we all fall off the wagon and lose motivation, you just have to let that go and start again. You have to persistently continue to start again. And when you lose motivation after that, start again. This ideology was born through a motivational comment posted to a Reddit thread that went viral and now serves as motivational literature for people of all walks of life. Here’s an unedited paragraph from the whole text, but if you’re interested in reading the entire comment check it out here. So essentially, just aim to have no “Zero Days” this year. No matter how small your actions may be, doing even a little bit is better than nothing, and over time you’ll likely be more inclined to do more and more. Bonus: For more motivational perspectives, quotes, and videos, check out our roundup of the top Inspirational Quotes & Videos for Entrepreneurs. These are small techniques you can use to help motivate you to work on your goals. These techniques stem from the idea that the hardest part of completing a task is just getting started, but these techniques can help you to get started so you’ll hopefully keep going. The first is the Pomodoro Technique. It’s a time management technique that breaks down your work period into different intervals: 25 minutes of work followed by a period of time to rest. During the timed 25 minutes, you’re expected to work until the timer goes off. If you think of something else you need to do or something important comes to mind, write it down and then switch back to your work. Once the timer rings, mark a check mark on a piece of paper and take a short break. Once you’ve done a few Pomodoros and acquired more check marks, take longer breaks. It’s important to track and record your progress as it gives you a sense of accomplishment and you can visually see the amount of time you’ve put into your work. The second technique to use is much less structured and is focused on helping you through the hard part: Getting started. Set a timer for 5 minutes and start working. If when the timer goes off you still don’t want to work then you can stop. It’s simple, but it can be highly effective. Usually, when you’ve immersed yourself in your work for 5 minutes you’ll already be in your groove and you won’t feel like stopping. If you do feel like stopping though, you probably aren’t in the right mental state to complete your task anyway and it’s a good idea to move onto something else. You may have already included learning a new skill in your yearly or Q1 goals but it is worth us separating it from the bunch and giving it a point of its own. Being an entrepreneur and being lean go hand in hand with having a wide range of skills so if you want to be successful as an entrepreneur you need to know marketing, finance, graphic design and photography among a hundred other skills. Since this is the case, we highly suggest you join Skillshare classes to help you learn new skills taught by industry experts, including all types of business, creative, and online skills. 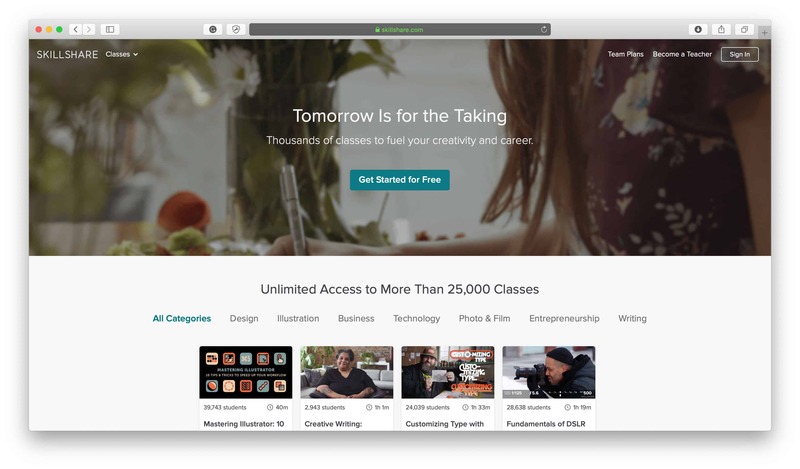 Bonus: These are the top 40 business related Skillshare classes we recommend taking if you’re interested in boosting your skills this year. We’ve discussed why it’s so important for everyone to become an entrepreneur in our Start Something post, and we’ve also discussed How to Start an Online Business When You’re Not Ready to Start an Online Business, so we wanted to take the time again to encourage you to start something, anything, and some ways you can do it right now. Start by building an audience you “own”. Email lists are king in ecommerce because it allows you to “own” your audience. You don’t have to hope they’re online or pay for your email to end up in their inbox, people just sign up to receive your emails and they get them. When you build an audience on a social media platform, that platform owns your audience. If that platform ever goes down, you can’t reach out to your audience. Start building an email list so you have an audience of people who are interested in what you do so you can reach out them when you have something to share or sell to them. A landing page gives you a web presence for others to discover that you can adorn with your email sign up or links to your social media pages, blog, YouTube channel or anything else you want to share. 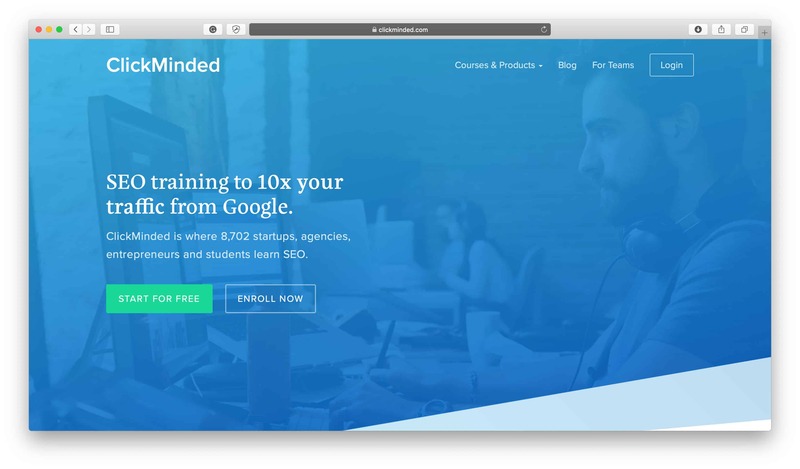 Again, creating a landing page helps you to build a presence outside of social media platforms, and when you pair it with an email list you give your audience a place on the web they can go to when they want more updates from you or your links. If you’re the kind of person who reads all the books and blogs about business that you can, you listen to podcasts, you take courses, you have the motivation, the passion, and the drive to start your own business and you can see yourself being a successful entrepreneur, then make this year the year you go for it. 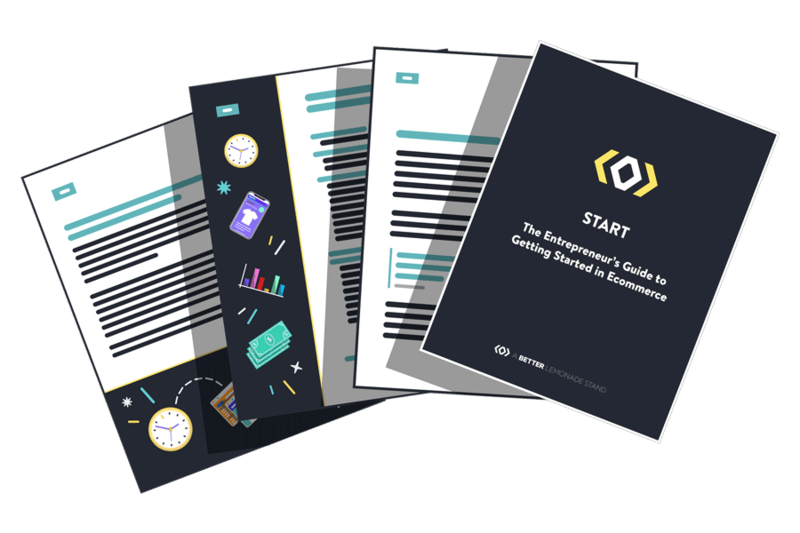 Start a business, become an entrepreneur, put the reading aside and use all the knowledge you’ve just been consuming up until this point to use. Start something, no matter how mediocre it may be, just start somewhere and start something. You can always grow and improve from something you’ve already started, you can’t grow and improve on something if you haven’t even started yet. 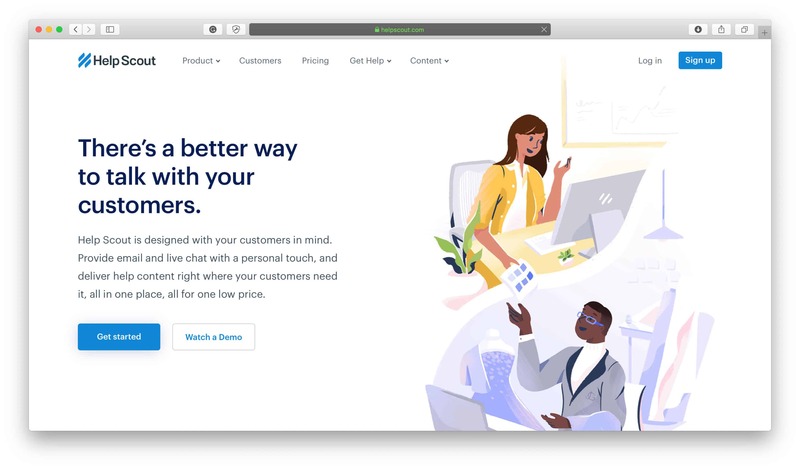 Use Shopify to build your online business. Check out our Shopify Review to learn more about their features & services. Time is your most precious asset so this year, use your time wisely. Reflect on your past year so you know which direction you want to move towards and plan your year ahead in terms of the goals you would like to achieve and the little steps you’re going to achieve daily to make those larger goals come true. Protect your assets because they help you do what you do. Get organized and delete all the clutter from your life whether it be online or off. Prepare your business for a productive year ahead. Plan your posts, set your focus, create a plan of action and learn a skill that will help better you. Don’t worry, you will lose motivation at some point, but if you start persistently and have mostly non-zero days, you’ll get back on track until you make better habits. But most importantly, just start something. With as little or as much as you have, it’s entirely possible to create something of quality, so just get out there and start. Let’s have a great 2019.